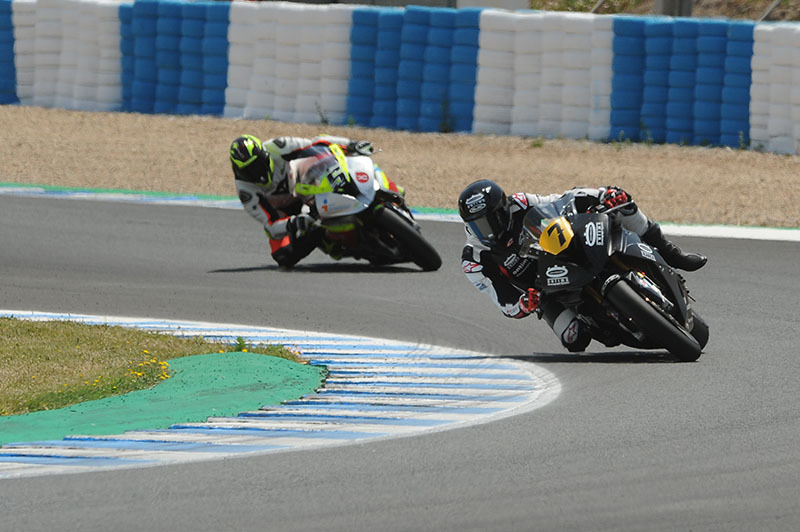 The circuit of Jerez Angel Nieto hosted the third test this year, this time the sun looked radiant early in the morning, which cleared the mystery of the weather. 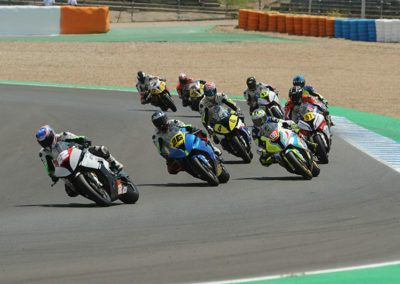 The new qualifying format encouraged pilots to qualify directly to the longed-for final superpole, so the pace was high from the first turn. 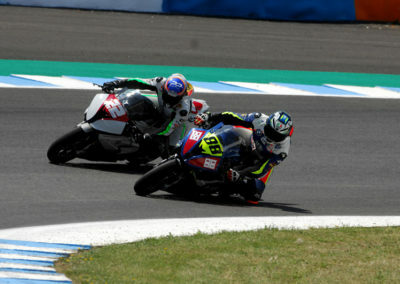 José Antonio Godia stopped the crono below 1.48.4 although the remaining four classified were less than a second apart. 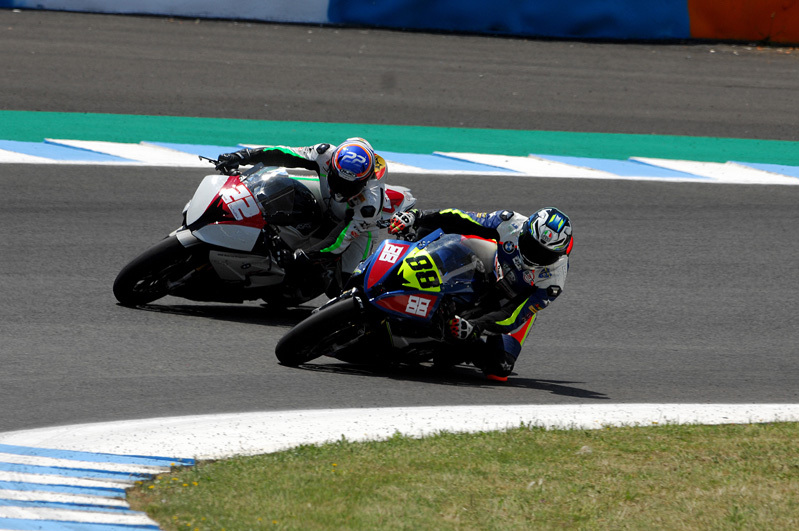 The sun warmed the atmosphere in the face of the superpole Kronos, which as expected was the most close. 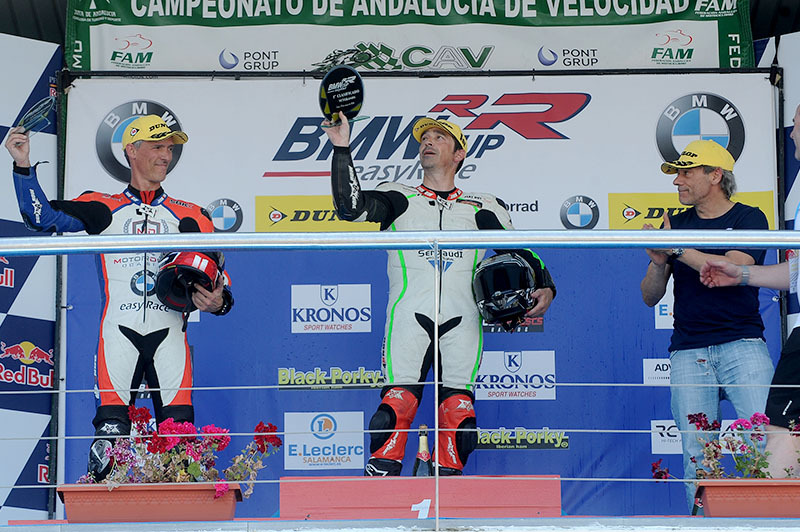 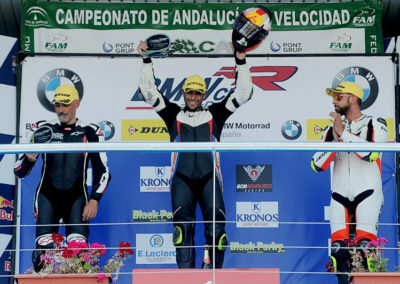 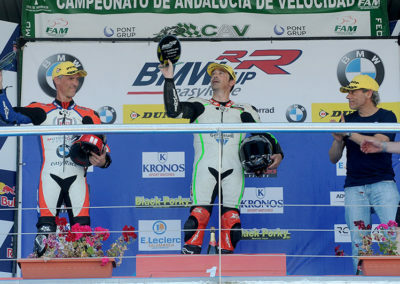 When Alberto Serrano savored his first place, the incombustible Juan Manuel Ruiz took a perfect lap stopping the clock at 1.46.950 and winning the prize clock by half a tenth of a second. 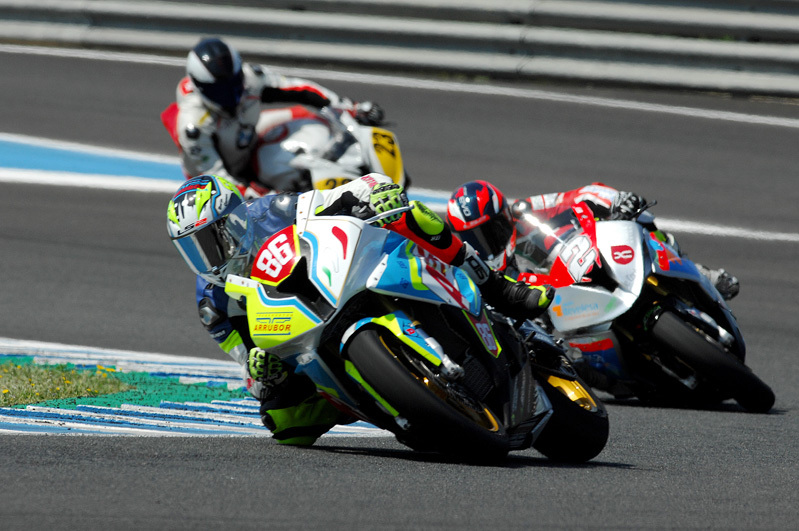 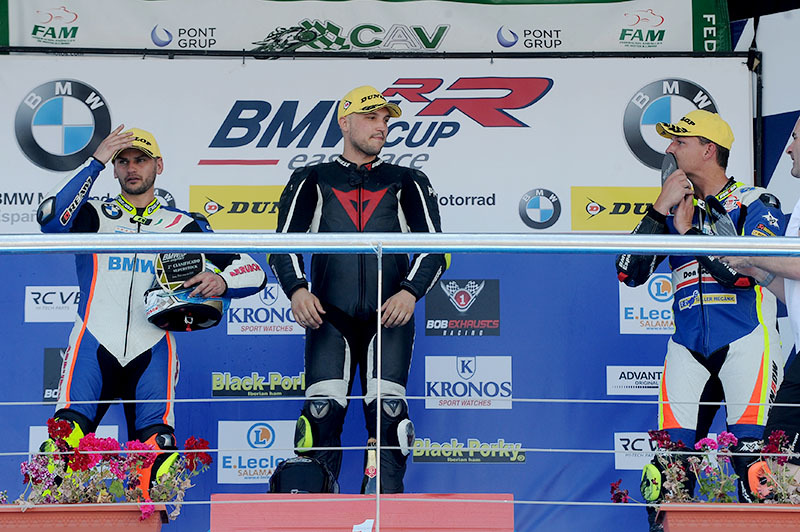 More than thirty S1000RR formed the grid made the circuit vibrate when the lights went out, Ruiz took the lead and tried to open a gap but Serrano followed him closely and managed to take the lead in the fourth turn. 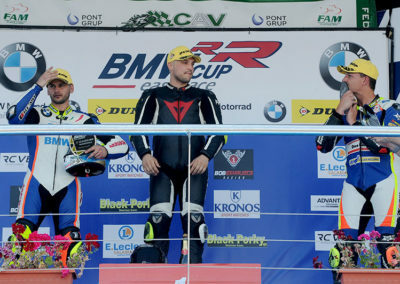 But Marto, who regained positions since he started from a position delayed on the grid, managed to overtake both of them in the middle of the race, a position he would not abandon until the end. 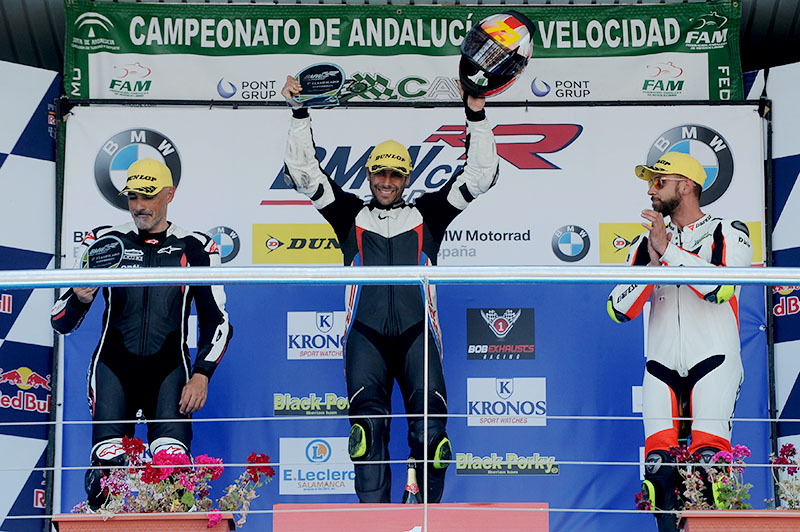 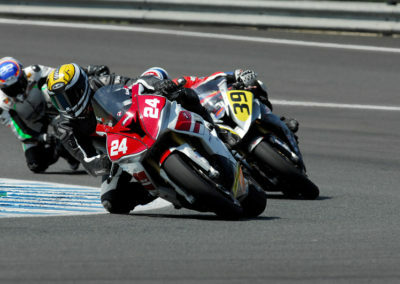 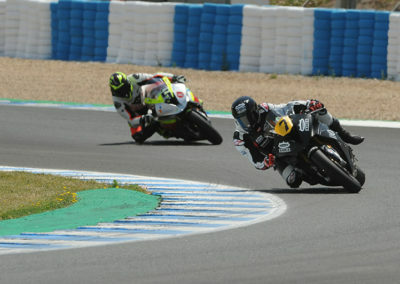 Ruiz regains the second place against Serrano two laps from the end completing the podium of an exciting race. 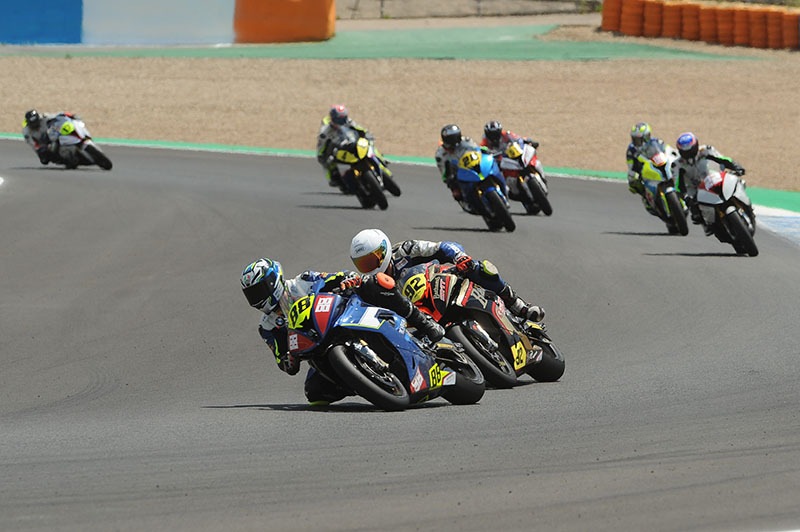 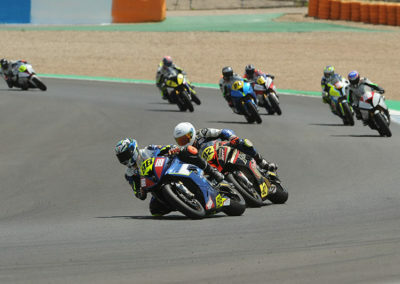 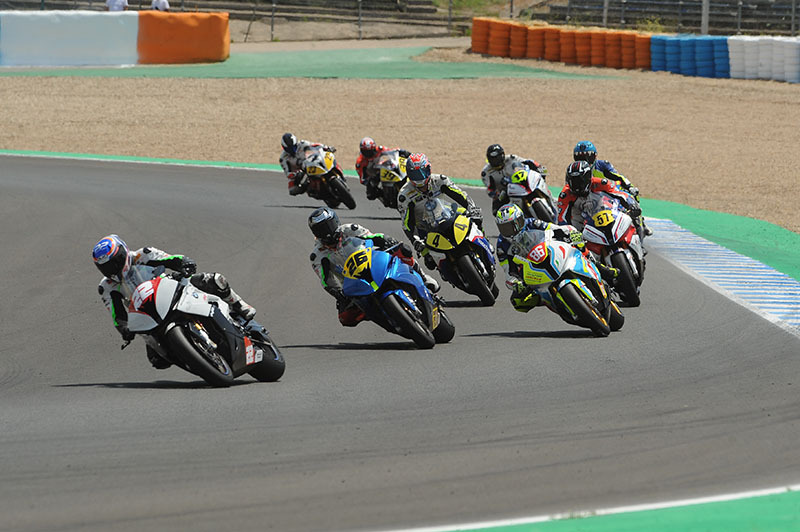 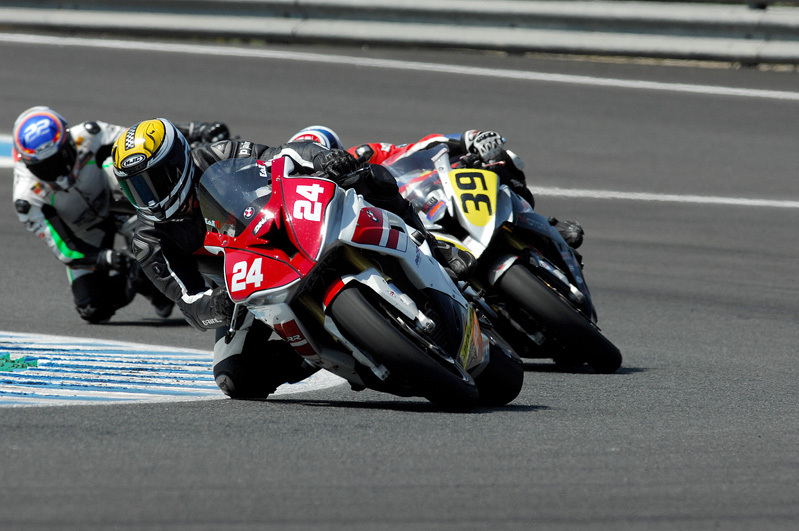 A great day of racing in the cathedral of motorcycling, which leaves the swords in all high for the next test in the World Cup circuit of Motorland Aragón on June 9.